With over 3.5 billion searches done everyday on Google, it is no doubt the most used search engine in the world. We all go there to make our queries, and some inquisitive people like you (and I...lol) keep asking if it is possible to make our own money from the site. Well, that is 100% possible. I have made a lot of money from the Google, and you too can! Making money from Google doesn't require that you invest a dime, you don't even need to own a blog and you don't have to refer anyone. All you need to be able to start making money from the world's biggest search engine are the right STRATEGIES! You need to know the do's and don'ts, the right and left and the proper way to do that is to have access to the proper guides. Jeez...I was surprised! That wasn't what the seminar was about, and the man didn't stretch much on the point. However, after the seminar, I was the first to rush him outside...Lol! Let's take it from there. I attended his online classes and in less than two months, I had made my own first ₦35,000 ($100) from the site. After a few more months, I was very thankful I had attended the course and now I decided to launch mine to help everyone else! In this eBook, I'll talk about everything you need to know concerning how I started turning in $500 monthly from the Google search engine. In case you haven't met me before, My name is Israel Steve, and I'm the founder of Empire Showers. 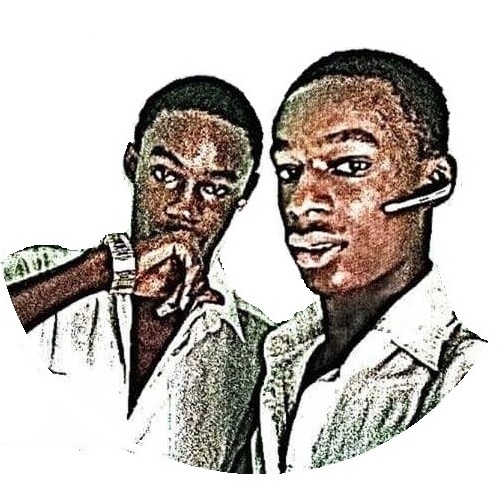 I graduated from the Imo State University with a degree in Medical Laboratory Science before proceeding to chase my passion in the internet world. Having passed through the Google Digital Course, I attended a seminar which changed my whole life on the whole internet world and began to turn in $500+ monthly from the Google search engine alone. Now I have decided to help others succeed too. The internet is too big to feed each of us, so why still starving? 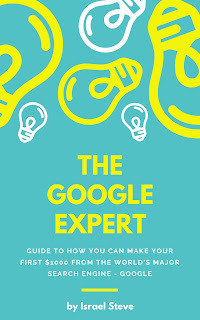 I have just written an eBook on how you can become an expert Google user and it is sell at only ₦1,700 for a limited time. After that the price doubles to ₦3,400. Then it moves to ₦7,800 and will never return. - The secret to how I started turning in $500+ a month from the Google search engine. - The tip to how you can make your own money from Google without having a blog. - The secret that will take you to the top of the Google search results for all your articles (All bloggers need this). What's more? I'll also give you my contact to a free coaching after purchases, it's right there in the eBook. If you're interested (of course you are), please go here to order your own copy now! Let's make money online together!